With online retailers constantly seeking ways to become more competitive, eFulfillment Service (EFS), one of the nation’s leading outsourced order fulfillment providers, has released a new corporate video to show how they support scalable growth for online merchants, and to offer a unique glimpse of what it means to be an EFS client. The six minute video from eFulfillment Service combines a mix of one-on-one interviews with a series of clips to provide an up-close look at the company’s operations, technology, management team, and the distinct advantages offered to merchants that utilize EFS services. 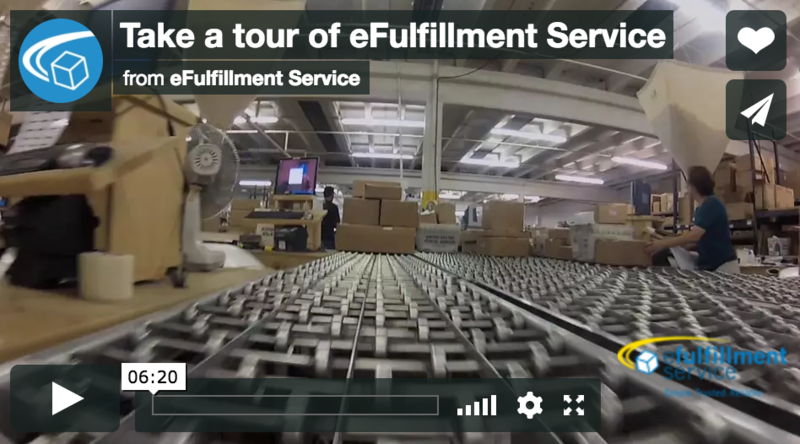 A new video from eFulfillment Service details the operations of this leading order fulfillment provider, and highlights advantages for online retailers. Take a tour of our fulfillment center!